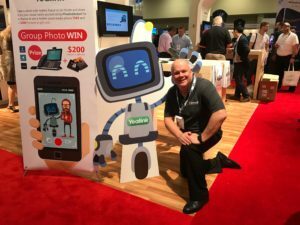 ITEXPO East 2017 – What a Week! It’s hard to believe that it’s already over! What a whirlwind week it was at ITEXPO East 2017! 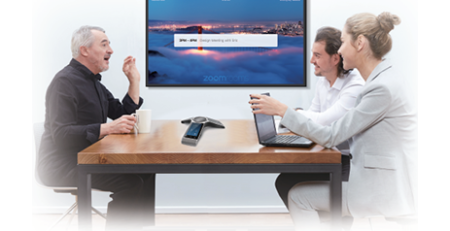 From February 8th through 10th, 888VoIP, a Platinum Sponsor of the show, got the chance to gather and network with everyone in the communications field, from engineers & IT managers to C-level execs and business owners, with the hopes of helping individuals with their VoIP distribution needs. The expo began on Wednesday, February 8th, where the evening commenced with a Welcome Reception cocktail hour in the expo hall, sponsored by 888VoIP. This gave expo goers the opportunity to a meet and greet with all the exhibitors. The hall was packed was attendees and the expo was in full swing. On Thursday, February 9th, the exhibition floor was open for a full five hours, in addition to keynote speakers, trainings, and workshops happening. 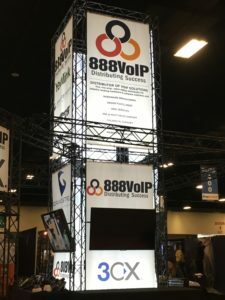 At the 888VoIP booth, the team was assisting potential and current customers by identifying their business needs & providing potential solutions. 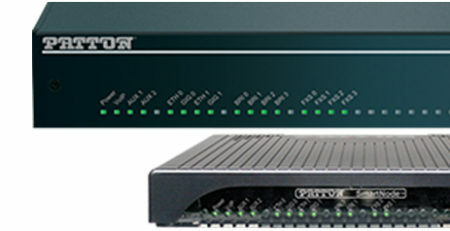 The team from Patton Electronics was also present in the 888VoIP booth, showcasing their highly renowned SIP gateways. The day finished off with the ITEXPO After Dark Party, co-hosted by 888VoIP, at the beautiful Atlantic Hotel – situated right on the coastline in Fort Lauderdale. 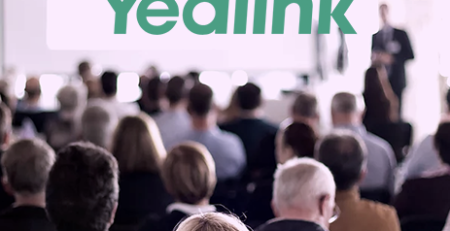 Yealink, a leading telecommunication solution provider, was featured in the 888VoIP booth, with a fully stocked display table, featuri ng their new line of T4S IP Phones, the W56P Dect Phone, and sleek T49G Video Phone. 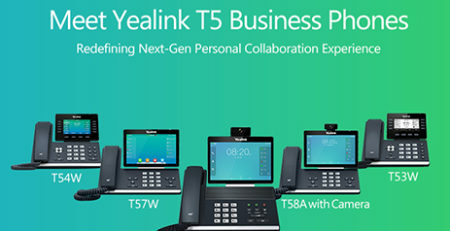 To learn more about the products that were featured, including details on the feature-loaded new T4S series, visit the Yealink Featured Solutions and Product Pages. 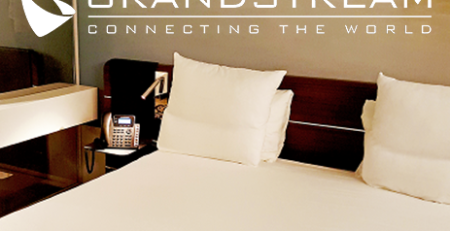 Grandstream, another leading manufacturer of IP voice/video telephony & surveillance solutions, was also highlighted at the 888VoIP booth. 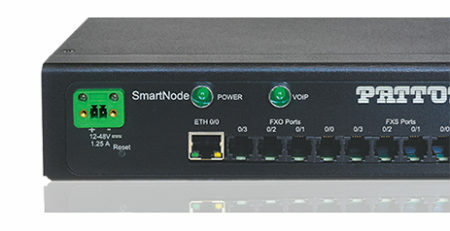 On display were the GXP IP Phones, with the entry-level GXP1600 series, the mid-range 1700 Series, and high-end 2100 Series. 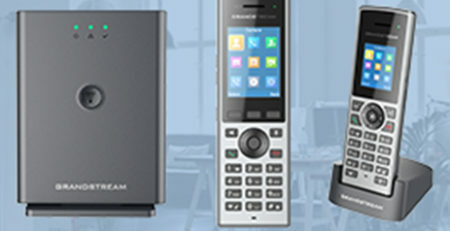 Another featured product at the booth was the GXV3275 Video Phone, which combines a tablet-like touch screen that supports a variety of Android video calling apps with all the features you’ve come to expect & love in a Grandstream IP Phone. 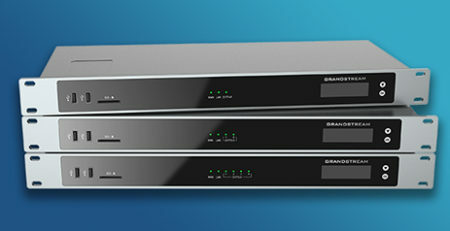 For more details on these featured solutions – and more – visit the Grandstream Product Page. The show concluded on Friday, February 10th and was a great success for all attendees and exhibitors! 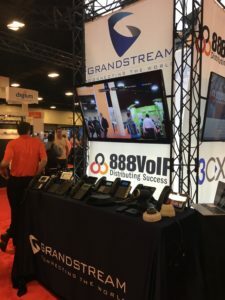 To get a full recap of what happened at the 888VoIP booth, visit our Twitter & Facebook pages to view live posts, videos, and photos from each day of the show – including the winners of our iPad Apple, iPad Mini and GoPro camera giveaways! 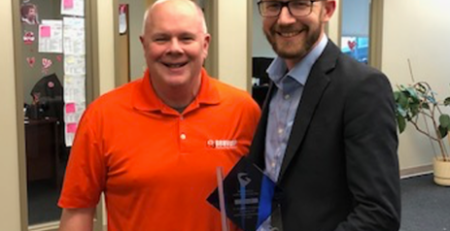 Our team is looking forward to seeing you at Channel Partners in May and next year at ITEXPO 2018!